LOCATION!! LOCATION!! LOCATED AT THE SOUTHERN TIP OF LANSBROOK ... SURROUNDED BY BEAUTY!! 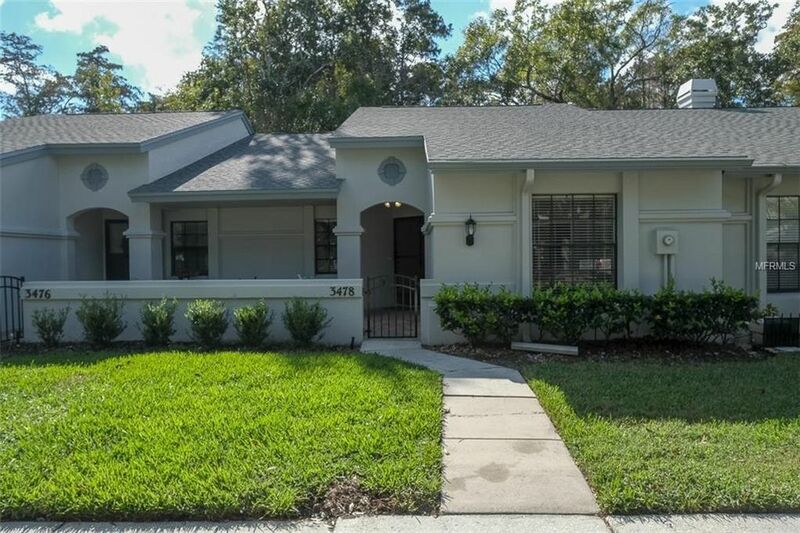 MAINTENANCE FREE LIVING IN THIS BEAUTIFUL 2 BEDRM., 2 BATH, UPDATED ONE STORY VILLA WITH 1, 197 SQ.FT. OF REAL FLORIDA LIVING! VAULTED CEILINGS, 2 SKYLITES, SKYLITES NEW IN 2018! SPLIT BEDRM. PLAN! OPEN GREAT ROOM PLAN, EAT-IN KITCHEN W/NEWER CABINETRY, NEWER SILESTONE COUNTER TOPS, STAINLESS APPLIANCES, ELECTRIC FIREPLACE WILL CONVEY, PLANTATION SHUTTERS, BOTH BATHRMS. HAVE BEEN UPDATED W/NEWER VANITIES, GRANITE COUNTERS NEWER SUBWAY TILE IN SHOWER, BRICK PAVERED FRONT PORCH PLUS BRICK PAVERED OPEN DECK OFF THE SCREENED/COVERED LANAI! PREMIUM HOMESITE BACKING TO SERENE TRANQUIL CONSERVATION...BEAUTIFUL FLORIDA WILDLIFE! NEW ROOF IN 2017! WALK TO THE YMCA & LANSBROOK GOLF COURSE! MONTHLY HOA FEE COVERS ROOF, EXTERIOR PAINT, COMMUNITY POOL, WATER & TRASH! LOW HOA FEE! IMMACULATE AND BEAUTIFUL!!! A TRUE MUST SEE!! Directions: EAST LAKE ROAD TO WEST ON VILLAGE CENTER DR., STRAIGHT INTO THE CLEARING RIGHT ON KILLDEER PLACE.